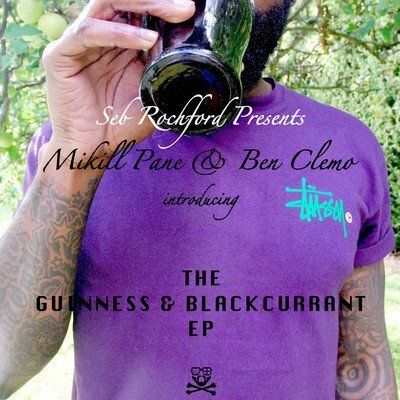 Here’s my favourite track from Mikill Pane’s wonderful ‘The Guinness & Blackcurrant EP’, released last Monday. I was introduced to his music through Ed Sheeran’s ‘No. 5 Collaborations Project’, where he laid down some incredible bars on the verses of ‘The A-Team’, but this EP is where Mikill really seems to come into his own. Having recently supported US rapper Mac Miller on his UK tour, it looks like Pane’s fanbase is just going to grow and grow. Drawing influences from old-school hip-hop as well as dubstep, it is an example of not only his sublime lyricism, but his musical creativity and versatility. This particular track sees him rap over a military-style drum and beat with synth throughout. Great production as well. There a lot of people who like to file his music next to the likes of Mike Skinner and Scroobius Pip, but I’m of the belief that he really is on another level. Witty, intelligent and makes great music. What’s not to love? Take a listen to the radio rip from Huw Stephens radio show below. Brilliance. ‘The Guinness And Blackcurrant EP’ is available to download from iTunes HERE.